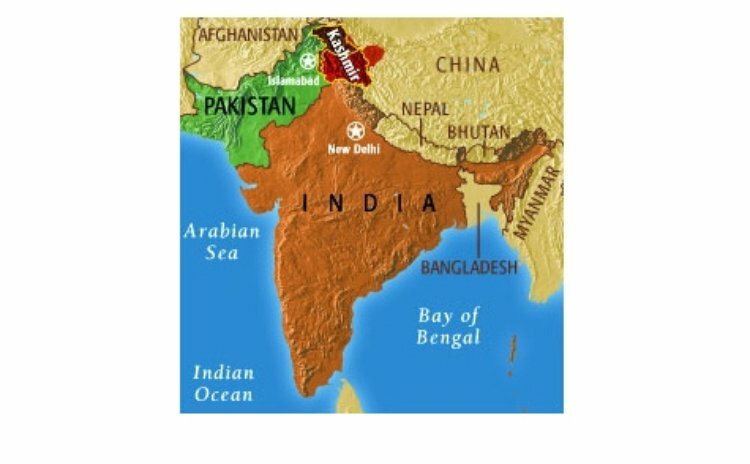 On August 14 and 15, Pakistan and India, respectively, celebrated the 70th anniversary of their Independence from Britain, a country whose policies, as an occupier, fomented - and then bequeathed to them - the hostile communalism that led to their partition and their continuing antagonism. Religious dissimilarity, as Muslim and Hindu, proved more defining and more divisive than common ethnicity, common culture, common foods and shared history. Forty-seven years later, another leader – this time from Africa – who had suffered at the hands of a minority group of exploiters, using race to subjugate a majority, observed that: "No one is born hating another person because of the colour of his skin, or his background, or his religion". That man was Nelson Mandela, who despite his own agony in apartheid South Africa, recognised that hate is not a natural condition. Hate, whether racial or religious, has to be taught, encouraged and engendered. And when it is taught, the process is usually for the profit of those who manipulate it, not for the benefit of those who are its targets. Another 23 years later, yet another leader – this time from the United States – invoked Mandela's words in response to violence resulting from a white supremacist rally in Charlottesville, Virginia, just days before the 70th anniversary of India's partition into Muslim Pakistan and Hindu India. That man was Barack Obama, the first black President of the US. Like many other right-thinking Americans, he was alarmed at the intent of a rally of white supremacists and the violence it provoked. Under the banner of the so-called 'alt-right', more than 700 white supremacists invaded the city, calling for "Unite the Right". They were an intimidating group of militia, racists, and neo-Nazis chanting Nazi slogans; some openly carrying rifles. The hate was palpable. And, the worst of it was the untimely and unnecessary death of Heather Heyer, a young white woman mowed down by a van hurtled into a crowd by a 20-year old self-avowed white supremacist. This racist communalism, long a feature of American history, is one that most Americans want eliminated from their reality. Those Americans found voice not only in Obama but in others, such as Speaker of the US House of Representatives, Paul Ryan, who said: "We must be clear. White supremacy is repulsive. This bigotry is counter to all this country stands for. There can be no moral ambiguity". Yet, as in India and Pakistan – 70 years ago – there are still those in the US who encourage and engender communal hate and hostility for political purposes. As no good came from such communalism in the past of the United States, in the partition of India, in ethnic cleansing in Rwanda and in Bosnia, or in racial conflicts in Guyana and Trinidad and Tobago, no good can come from encouraging hate such as was experienced in Charlottesville. That is why in America – as in India and Pakistan and elsewhere, including in the Caribbean – the teaching of Mandela has to be instilled into these societies by their leaders. In making the point that no one is born hating another person because of race or religion and that people learn to hate, Mandela also observed that "if people can learn to hate, they can be taught to love, for love comes more naturally to the human heart than its opposite." And that is the task of leaders in all parts of society if the world – and the states within it – are to enjoy peace and prosperity. Race loathing and religious hatred have been created, fostered and provoked for the political and economic advantage of a few over the many. In the Caribbean - in both Guyana and Trinidad and Tobago - first the British colonialists, and then the post-colonial local politicians, promoted racial communalism for their own advantage. Both countries struggle with that unpleasant and unproductive legacy today. It will only be overcome when all political and religious leaders preach against it and practice what they preach. Communal divisions – in race or religion – should not be allowed to blossom and grow, for they can shatter a country however rich. Appeasing racists and religious bigots by silence or tacit approval of strife for political gain, comes at the high price of death and destruction, as history – and recent events - have shown. Great leaders should be unhesitant in speaking out fiercely against all acts of racial and religious bigotry.